On 28 December 1941, Lt. Gen. George H. Brett arrived in Australia to take command of all United States forces. General Barnes was his Chief of Staff and General Brereton was in command of all Air Forces. The Americans headquarters moved from Brisbane to Melbourne. 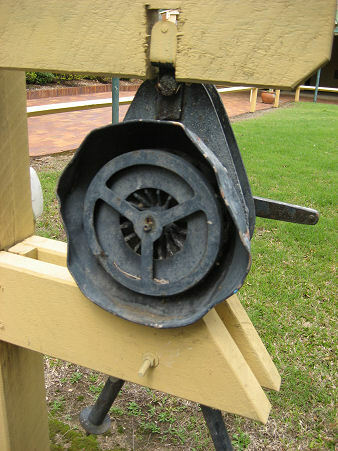 The Americans however needed to establish an organisation structure to distribute supplies and personnel throughout Australia. 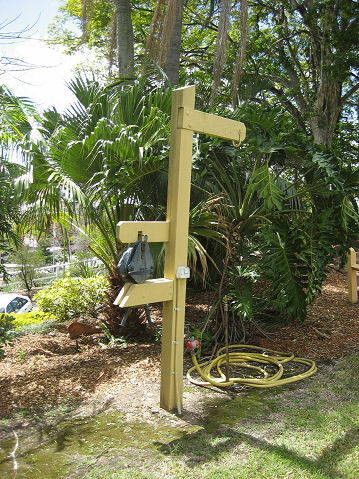 They set up what was known as numbered Base Sections of the United States Armed Forces in Australia (USAFIA). 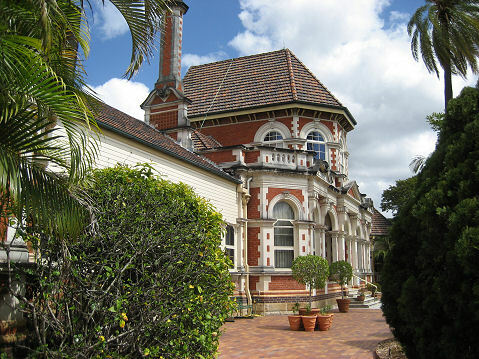 Base Section 3 covered the southern half of Queensland with its headquarters established in Somerville House in Brisbane. 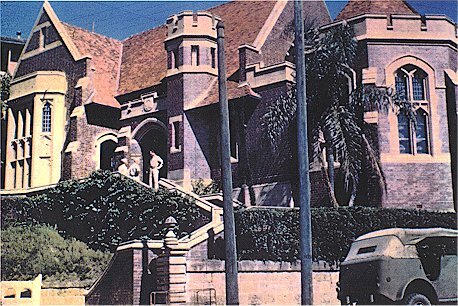 House, Brisbane, March 1942. 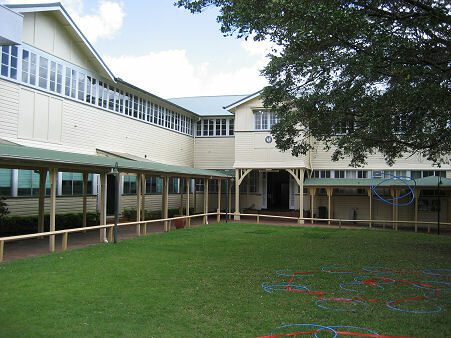 This building was the school library. 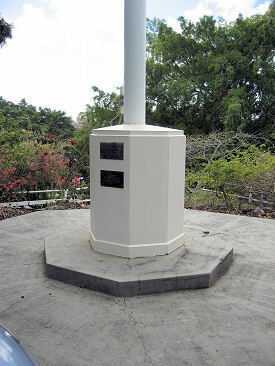 Base Section No. 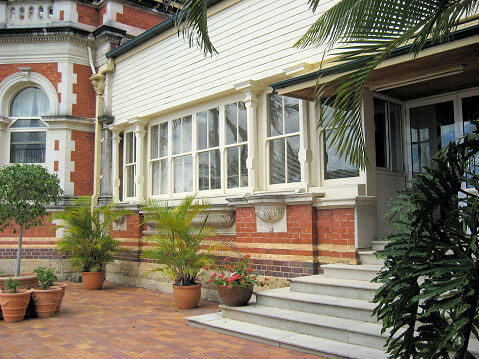 3 Headquarters were established in Brisbane at Somerville House in Vulture Street in the suburb of South Brisbane. 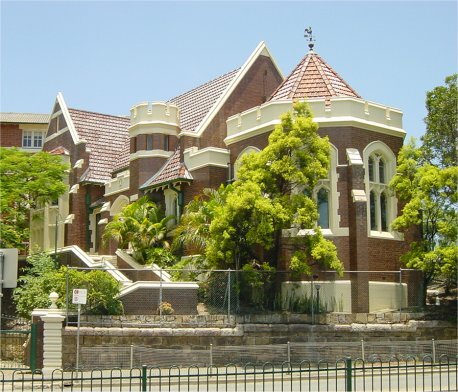 Somerville House was an exclusive girls' boarding school before the war. The pupils were relocated to let the Americans take over the school. 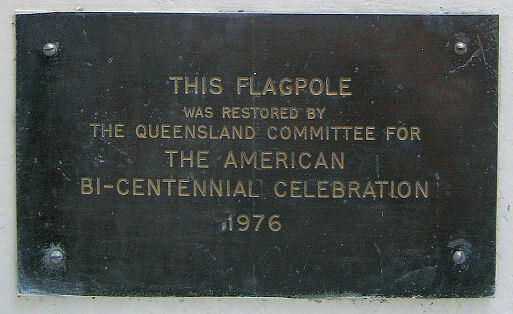 The Americans erected a large flagpole in the school grounds on the high ground near Vulture Street. It is still there today. The Office of the Provost Marshall - Base Section No. 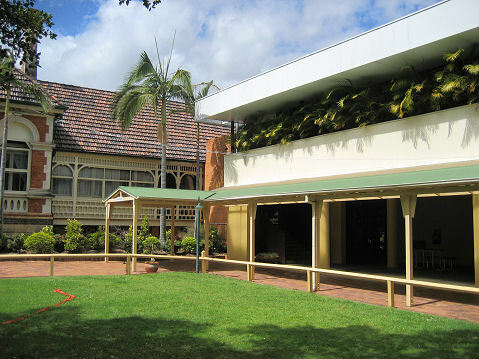 3 was located in the adjacent South Brisbane Municipal Chambers. 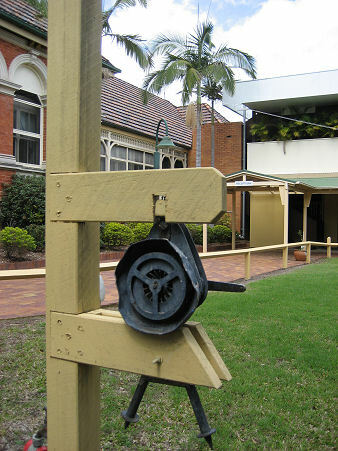 with the siren is still standing at the school but in a new location. low white fence in the background of the photo is still there today. right. You can still see the original low timber rail fence. 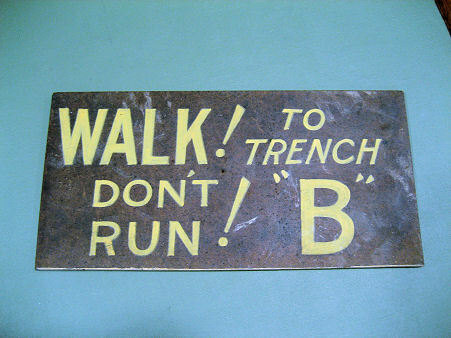 An original WW2 sign used by the Americans at Somerville House during WW2. 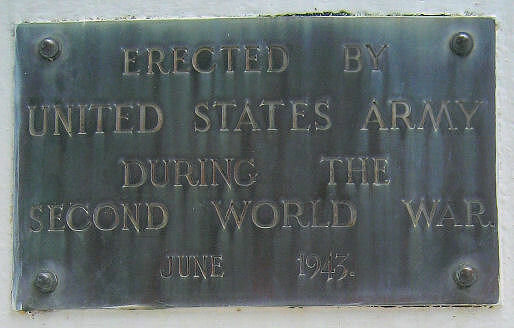 "Erected by United States Army during the Second World War June 1943"
for the American Bi-Centennial Celebration 1976"
Col. Wm. 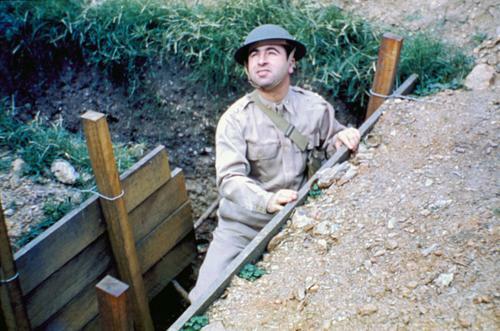 H. Donaldson, Jr.
Mrs. M. Foord was in charge of the Telephone Operation Personnel Section in Base Section No. 3. 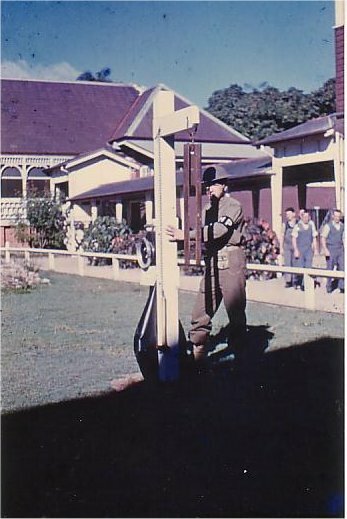 There were a number of Military Telephone Exchanges around Brisbane including Bataan Exchange in Lennons Hotel in George Street. 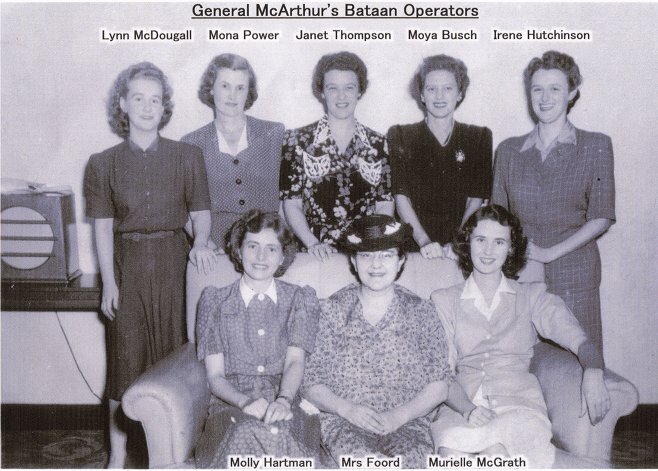 Mrs Foord can be seen below with her "Bataan Operators" at the Bataan Exchange. Mrs. M. Foord would have also looked after the AMP Exchange. 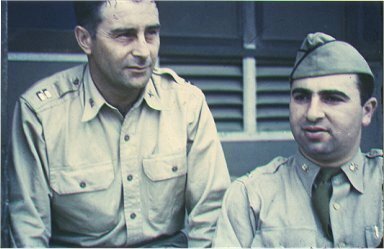 Lieutenant Mark T. Muller arrived in Brisbane on the Pensacola Convoy on 23 December 1941. Mark served as a Signal Officer at Base Section 3, at Somerville House. Mark met his wife Helen Hoffman at the 153rd Station Hospital, at the Southport Boys School, when Mark was a patient there. Helen Muller (nee Hoffman) passed away on 7 July 2004. In May 1944, the Military Telephone Directory for Brisbane shows the following details for the Signal Office at Somerville House. There have been many unconfirmed rumours over the years of tunnels running from Somerville House across to St Laurence's School. I'd like to thank Kate Bottger, Murielle Ahern (nee McGrath) and Bill Bentson for their assistance with this home page.